You can subscribe to our blog....We promise, no spam! 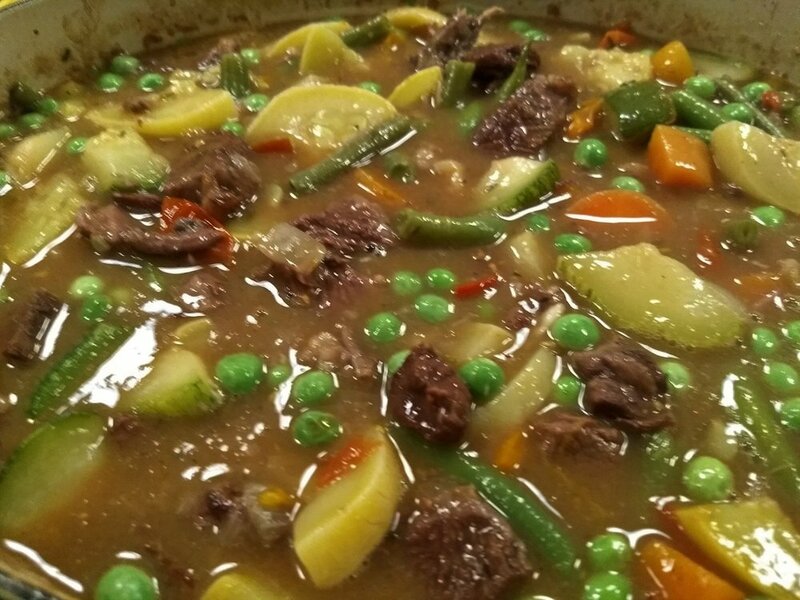 A cold winter day is a great time to make beef stew. 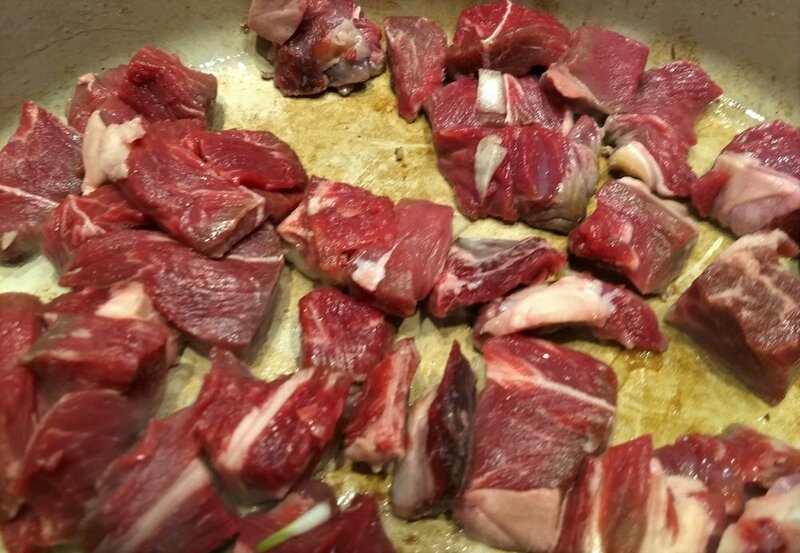 We start with a nice chuck roast that is cubed and browned. Then we cook some diced onions and add flour. 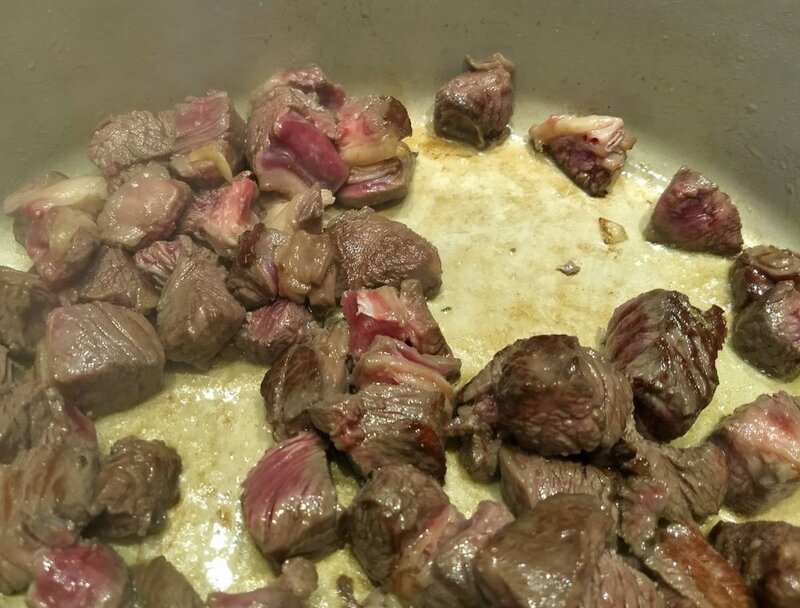 Next, we add some red wine and our home-made bone broth to our cubed chuck roast and simmer slowly for at least 3-4 hours. Finally, we add our home-grown carrots that have been in our cold storage and our green beans, peas and summer squash that were blanched and frozen this past summer. We have a simple, healthy meal for my family that warms our kitchen and our hearts. We grew all the produce and raised the beef on our farm which makes this meal even more rewarding. It's a Wrap for Calving Season at Verdant Hills Farm!